Now in it’s second year Ramblin’ Man Fair provides Rock Fans of all sorts with a one stop shop for a wide variety of tastes, from Hard Rock to Prog to Blues to Country, and in a very neat package that allows easy access to whoever you want to see, be they on the Main Stage, Prog Stage or Tent. 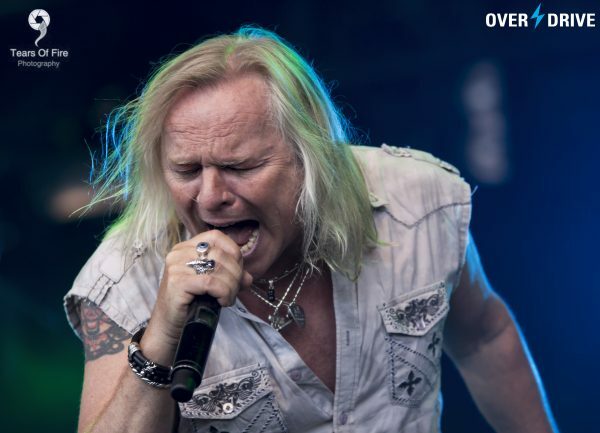 Overdrive was there to capture all the sweet tunes as well as the electrifying atmosphere! 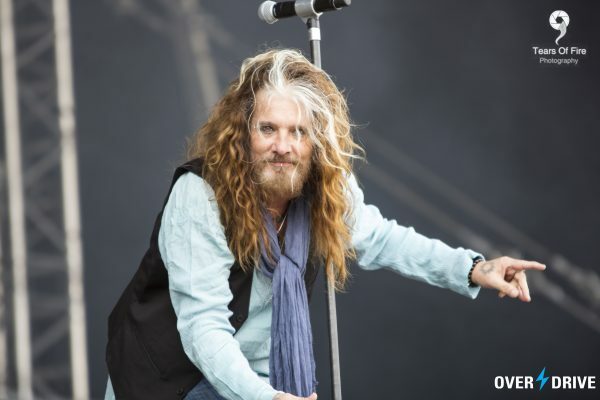 Welcome to part one of our review on Ramblin’ Man Fair 2016! 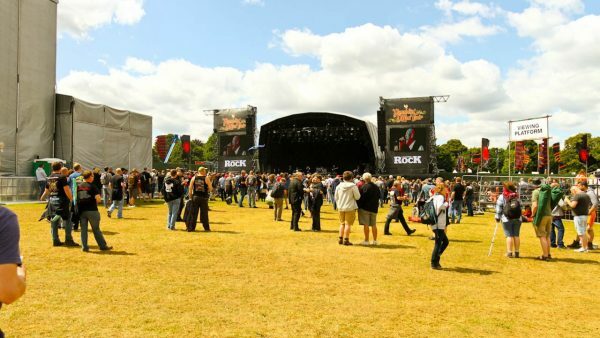 This year the Festival is under new management (Spirit Of Rock, a division of RFS Entertainment), so you always wonder will there be many changes, will the lineup be made up of smaller bands, will everything be much more expensive, but certainly with the line-up all fears were allayed early on with names such as Whitesnake, Europe, Blackstone Cherry and Thunder at the top of the Main Stage acts for the two day Festival. Upon arrival there’s a massive queue for the wristband exchange, which is certainly upsetting some standing in the blazing sun knowing it’s going to take some time to get into the arena. The site itself is bigger than last year, with the boundaries being pushed back a bit at the corners, a larger VIP Area and the addition of the Rising Stage for up and coming artists, there’s just more of everything, but it’s not silly, it’s not too big, just a little bit more work on the poor old feet to try and see as much as possible. When you arrive at a Festival and the sun is splitting the stones, it’s difficult not to have a good feeling, it’s quite odd how this particular weekend tends to be sunny each year. 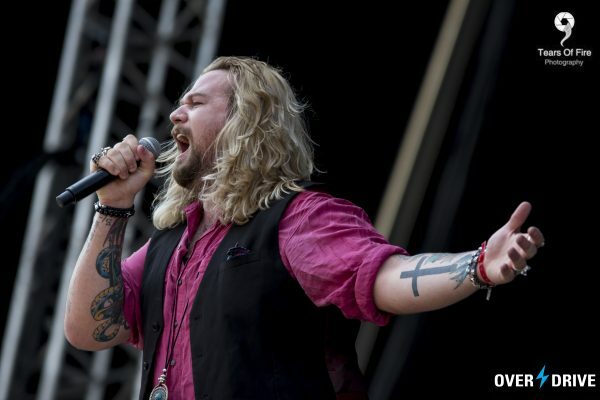 Opening the festivities on the main stage for the first day are the much talked about rising stars of UK Rock, Inglorious (4/5), having missed their Dublin show a few days earlier, it was great to finally see them live. Fronted by the wonderful voice of Nathan James this band has over the last year released an excellent album, toured pretty much endlessly and managed to create a hell of a buzz on the scene. they step out onto the stage to a raucous reception and an extremely healthy sized crowd considering there are still large queues outside entrance. It’s already a very hot day but that is certainly a welcome change to cold, wet and muddy, and the guys a playing a stormer of a 45 minute set, maid up mainly of songs from that self titled debut album, but also throwing in a cover of “I Surrender” which sounded great, this man can sing pretty much anything and when put together with a group of like minded musicians it all fits so well, the guys look like they are having fun on that big stage and don’t look out of place at all. To be honest it’s tracks like “Breakaway”, “Holy Water” and “Unaware” (which is a monster live) that really get the crowd moving, a really classic rock sound grounded in the old school but with a great groove and a fresh sound, expect this band to rise up the Main Stage order pretty soon. 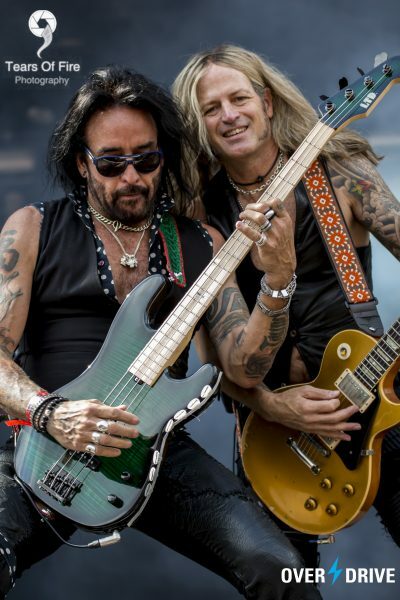 Next up are The Dead Daisies (4/5), truly a Super-Group, with the currently lineup consisting of former Mötley Crüe front-man John Corabi on vocals, Doug Aldrich (Whitesnake/Dio) and David Lowy (Red Phoenix/Mink) on guitars, Marco Mendoza (Thin Lizzy/Whitesnake) on bass and Brian Tichy (Ozzy Osbourne/Billy Idol) on drums, of course that doesn’t tell the full story of all of the legendary bands these guys have played with, but we could be here all day discussing that. 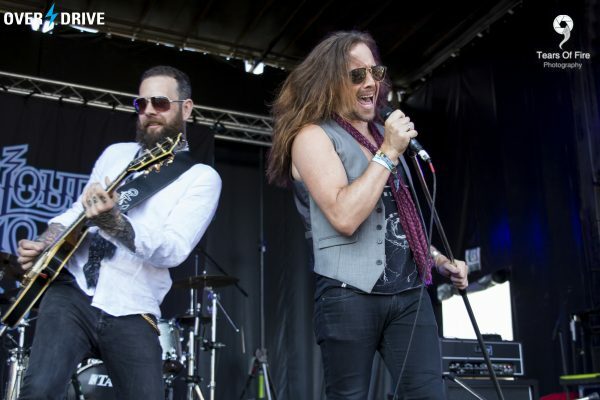 The band themselves have had somewhat a checkered history to date with regards to the lineup, but the current incarnation appears to be much more solid, and they look and sound great, any band with Doug and Marco present, are going to have amazing visual focal points, along with huge amounts of talent, Corabi’s laid back style balances this so well. Going forward the band really needs reduce the amount of covers in their live sets, I’m sure this will reduce over time as they bed in their own material. 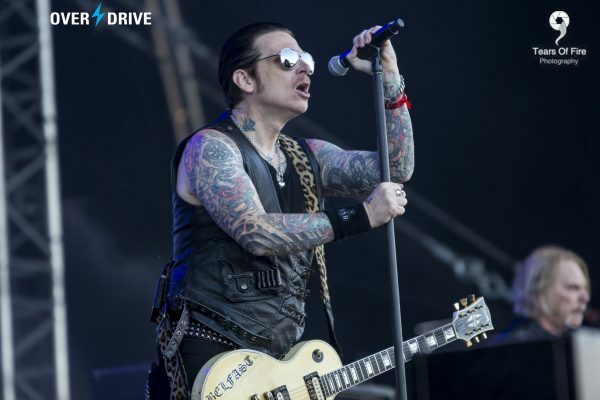 The track that broke first in the UK “Lock ‘n’ Load”, is still probably their strongest live track and the crowd are rockin’ all over from the VIP bar to the Grandstand near the sound desk. It was a really good call to have two bands touring together at the moment to open the show. Top of the covers for me was the Creedence track “Fortunate Son” which sounded great, there’s definitely a different vibe about the band now, and they actually seem more like a band than a collective. A Festival like Ramblin’ Man Fair is so much more than just a music fest, it’s still small enough that you will meet old friends and acquaintances just walking from one stage to another or grabbing a beer or food, the vibe is so laid back and added to with the beautiful weather; people are strewn all over the landscape, being able to just lay on the grass for a set, still enjoy the artist while resting the weary bones. There’s enough varieties of food, drink and stalls to allow people to just take a break and go for a walk around if it suits, which helps the easy atmosphere. Lifelong friendships are formed easily at such an event, unlike the massive festivals where you can lose yourself in seconds. Even better there are often other musicians not playing the festival but just chilling out with the crowd, not stuck in the VIP area, as they know they aren’t going to get swamped by people annoying them. This year there is an additional bonus with a 4th stage dedicated to up and coming UK acts, which is a great idea indeed. The first band I managed to catch playing this stage, was Scotland’s very own Mason Hill (3/5), An energetic five piece with a recently released self titled 4 track EP. Sadly even with short enough distances between stages, time constraints meant that I only managed to catch half of their set. It was really nice to see an actual stage setup rather than just the back of a truck or something literally thrown together. The bands sound is booming classic rock, loud, brash and unashamed, and it sounds really good. Strong riffs and solos with a cracking lead singer and a tight rhythm section, will definitely look forward to hearing more from these guys in the near future. The highlight of the Mason Hill set had to be their E.P.’s closing track “Where I Belong”, which is a brooding kind of track, but raises and drops with some sweet sounding guitar and ending the set with “Now You See Me”, a much more uptempo rocker and the could easily have kept going had they been allowed, a respectable crowd at the Rising Stage may well be bigger next time around for this band. Next it was time to pay a visit to the Country Outlaw Stage (which changes to the Blues Stage on the second day of the festival) to check out a band I was really interested in seeing, Whiskey Myers (5/5), and they simply blew me away with their particular blend of Country, Blues, Southern Rock, simply stunning and judging by the vibe and noise in the tent, I wasn’t alone in coming to this conclusion. Sometimes you just get a feeling about a band before they even play a note! There’s a certain tingle that runs up ones spine. 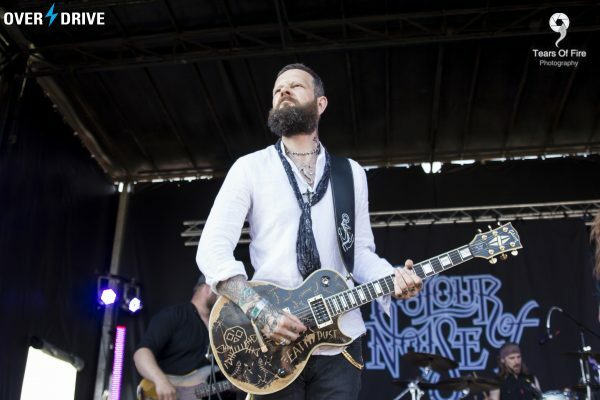 With a hectic approach to this years Ramblin’ Man Fair, I hadn’t a chance to check out the band as much as I would have liked to, and maybe that was the best way to see them. 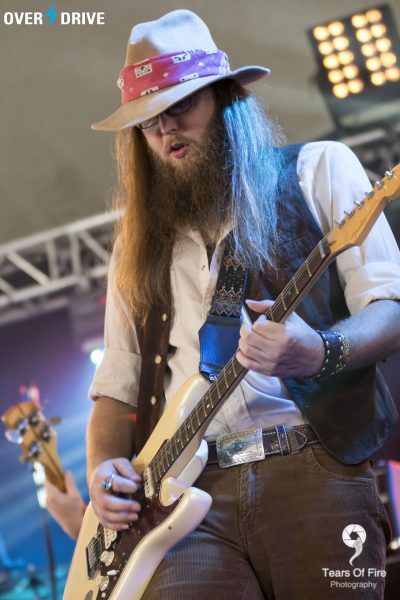 A five piece blues rockin’ manchine, Whiskey Myers plan to release their new album Mud in early September, so keep an eye out!. There’s a great variety to their music, from more aggressive tracks like”Early Morning Shakes”, with some wonderful guitar work, with the leads trading licks, sounded amazing, right down to something like the beautiful “Lonely East Texas Nights” from their debut Road Of Life album, it’s just a touch of class, again wonderful guitar tones, with Cody Cannon’s vocals smoothly tying everything together, and it’s great that he can come in as a third guitarist without every unbalancing Cody Tate/John Jeffers lead/rhythm work, or overpowering a track like this. I honestly could have stood there listening to these guys for the afternoon, desperate to get to see them again soon and much as I love most of the bands on the bill today, this set is going to be heard to beat, power in tandem with subtlety and a perfect way of telling a story to their audience. 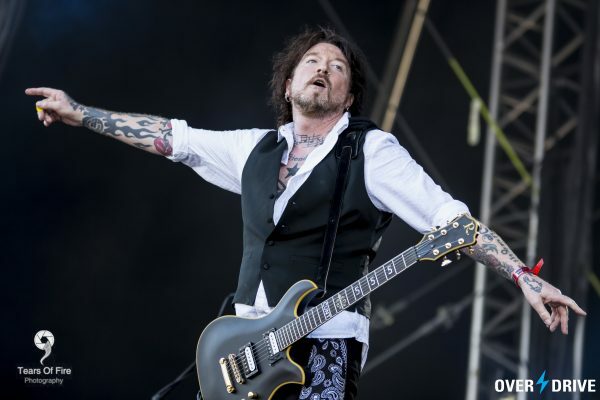 Ginger Wildheart (4/5) bounces onto the main stage with all the energy of an power keg explosion. 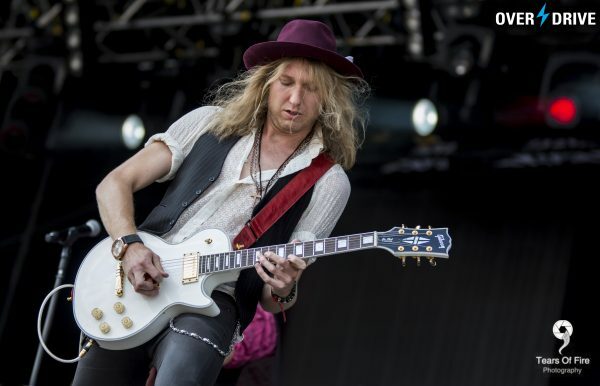 Kicking off with “Take It All” you can tell this is going to be full on, with a mixture of solo, Silver Ginger 5 and Wildhearts songs, a pretty well balanced and upbeat collection of songs that are being lapped up by an appreciative crowd front of stage. Highlight of the set for me was “Top Of The World” and it seems to be getting a great reaction from the rest of the crowd too. Coming on the back of a UK. 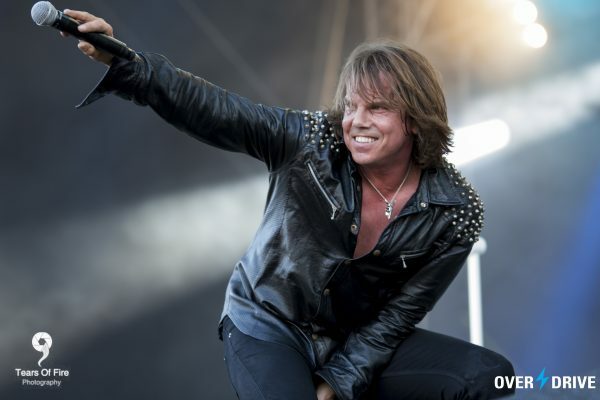 this Ramblin’ Man performance displays a confident, extremely tight and harmonious unit. Alongside Ginger for this tour are Conny, Toshi and Denzel, they work the stage with the ease and comfort of the experienced performers they are and it shows in how they are received by the “ramblers”. Perfect early evening set to keep the quality high in a slot that can quite often be when people start taking a break and going for food, not a chance of that with these guys hammering out Rock ‘n’ Roll goodness, hopefully the band will be back out again soon, and a return slot at RMF2017 would be nice. Colour Of Noise (3.5/5) are another classic rock band fronted by some familiar faces, Matt Mitchell (Furyon/Pride) looking after the vocal duties and Bruce John Dickinson (Little Angels) on guitar, having heard good things about them from friends they were definitely on the list to see if at all possible this weekend. 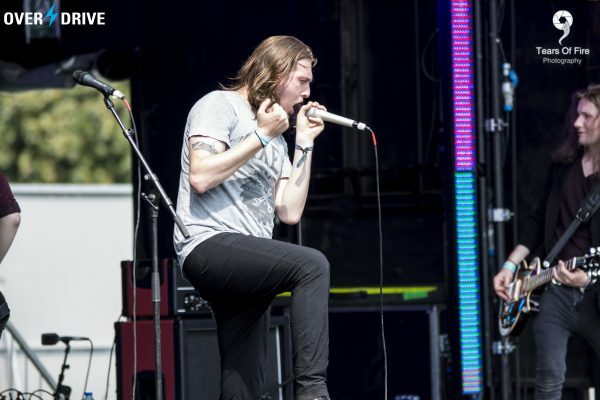 And again no disappointment, the guys know exactly what they are doing, today they are on the Rising Stage, with a set almost exclusively from their very impressive debut, self titled album. 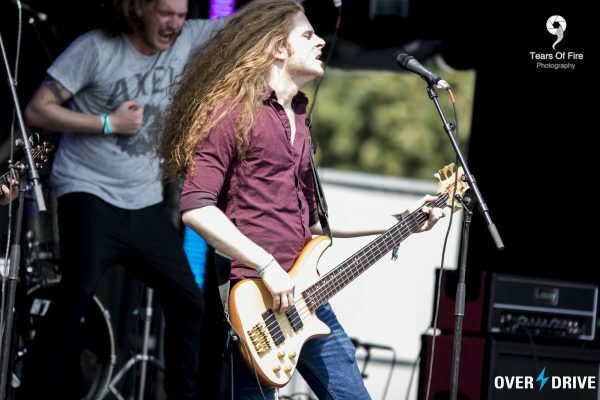 One new track that has been unleashed in shows over the last few months “Lucky Number Seven”, which slots in perfectly and makes me want to hear more of their new material. Set highlights include the groove-tastic, “Head On” which sounds pumped up live, and “Can You Hear Me ?”. Definitely a band to check out if you get the chance and keep an eye on them, well worth your time, all the elements are there for them to go further, they sound great. 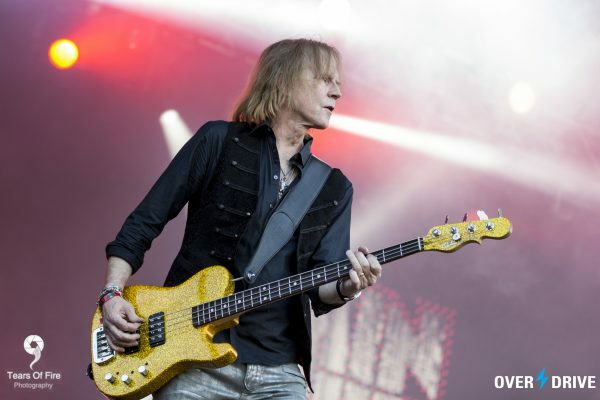 The rest of the evening will be spent in the presence of legends, starting with Europe (5/5) on the main stage. Having seen the band before, I had high expectations and they were met with ease. This was a top class set from an excellent band who came to do one job and did it extremely well. 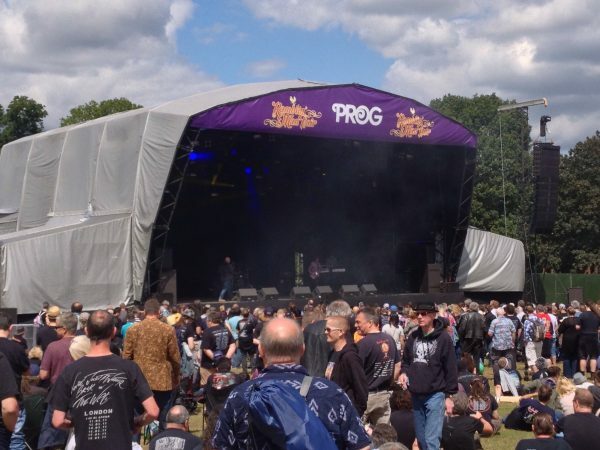 , Yes, they have had their doubters over the years, but it can’t be denied that they have great songs and put on a totally entertaining performance, with a set mixed between old and new material everything is getting lapped up by an excited crowd in the scorching sunshine. Thankfully with a knowledgeable crowd of punters shouting for “that song”, Europe show us why they didn’t disappear for 20 years, they continue to strive in creating new music, with a few slight changes in styles here and there (the last couple of albums having a a more blues infused vibe) and of course 2012’s Bag Of Bones and last years War Of Kings drawing from a more heavier influence. Today Europe are showing us exactly just how much they still has to offer – and the crowd is loving it. 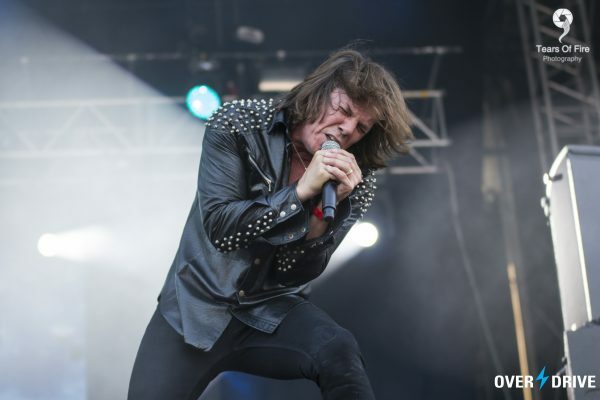 Joey is a master of his craft, prowling the stage, still has all the moves, mic stand moving in every direction, and the voice is better than ever, kicking things off here with the title track from War Of Kings, it has everything you want! The heavy beat, wonderful guitar work and a more aggressive Joey than maybe some people expected. 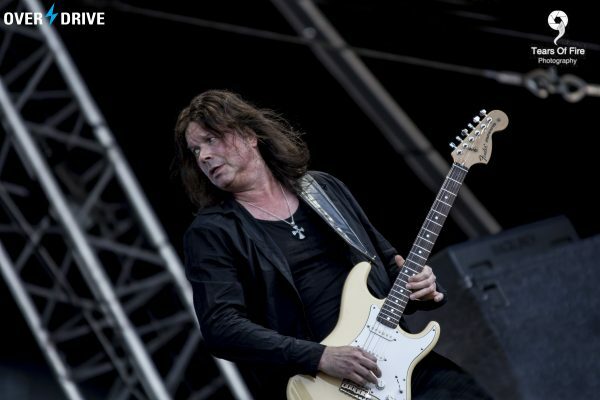 Spinning through some of the classic 80’s tunes, with rousing renditions of “Rock The Night” and “Cherokee”, I still wish that John Norum would make more ventures from behind his pedal board, as great a guitarist as he is that extra bit of crowd interaction would add even more to their set. One more track from the new album and their set comes to a close all too soon, with the song that gets the majority of the crowd jumping and singing with gay abandon, yes “The Final Countdown” brings down the curtain on another hugely successful performance by a band that’s often underestimated. A class act. The problem we all have at festivals is no matter what event you are at, there’s going to be a band or two that you just can’t get to see as they clash with other stages, this time around I’ve had to skip The White Buffalo on the Outlaw Stage and catch some of Uriah Heep (4/5) on the Prog Stage, before running back to the main stage to catch Thin Lizzy. 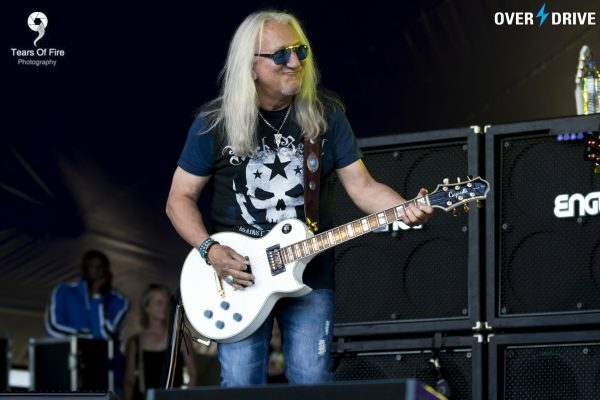 Heep may not have been on the tip of everyone’s tongue travelling to Ramblin’ Man, but I remember the guys playing the Prog Stage at High Voltage a number of years ago and playing a monster set! Speaking of High Voltage, the guys are playing on the same purple Wizard Hat stage that was in use at that festival, which is pretty cool. The band are fronted by the excellent Bernie Shaw and have been for some thirty years, add in the excellent guitar work of original founding member Mick Box and you’ve already got a formidable pairing, this band has been on the go for almost 50 years, an amazing achievement in itself, but to have maintained the high standards they have and continuing to strive to make something original, well you really have to take your had off to them. The guys absolutely go for it from the first bars of “Gypsy”, the power radiating from the stage is a joy to behold, yes Uriah Heep have a very progressive element but they are a pretty heavy band, the set today is a good mix of tracks from their illustrious history, with Shaw being perfectly at ease with the early material as well as the newer work. Every member of this band works as one, and even better with a smile on their face, was gutted I had to run without catching the full set, but they were terrific. Even early on you get the impression the large crowd at the Wizard Hat stage would love these guys to be playing all night, a band that really knows what their audience wants. The debate will continue to fly around Thin Lizzy (4.5/5), should the name continue to be used, there’s no Phil (Lynott) there’s no Lizzy etc etc. But in reality, this is a band of talented musicians bringing the music of Thin Lizzy to fans that maybe never had a chance to hear it played live. No problem in my book with that as long as it’s done correctly. Do they pull it off? Absolutely!! They put on a great show and it’s great to hear Scott playing. The lineup for this years set of shows is Ricky Warwick on vocals/guitar, Scott Gorham on guitar, Damon Johnson on guitar, Darren Wharton on keyboards and two special guests, Aerosmith’s, Tom Hamilton on bass and Judas Priests, Scott Travis on drums. Strong set of musicians, and they are celebrating the 40th anniversary of the release of the classic album Jailbreak and it should be celebrated. At this stage I think most people already know what to expect, a set of classic Thin Lizzy tracks, played with passion, even when people go in with preconceptions it’s so hard not to just melt when the twin guitar attack kicks in, it’s unmistakable, but as it always has been it’s the sheer quality of the songs that endears Thin Lizzy to their fans. Today it’s a greatest hits set, yes there aren’t a lot of changes from the sets they have been playing for years when they get together under the Thin Lizzy moniker, but this is a celebration of Thin Lizzy, so why wouldn’t it be the songs they are best known for? They can do no wrong here tonight with classics such as “Dancing In The Moonlight”, “Massacre”, “Waiting For An Alibi” and one of the ultimate singalong rock songs of all time, “The Boys Are Back In Town”! 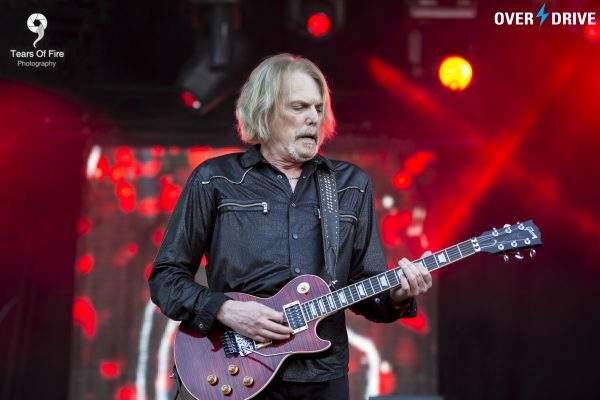 The band sound full and sharp throughout the performance and hell, anytime you get to see Scott Gorham play is a pleasure in my books. 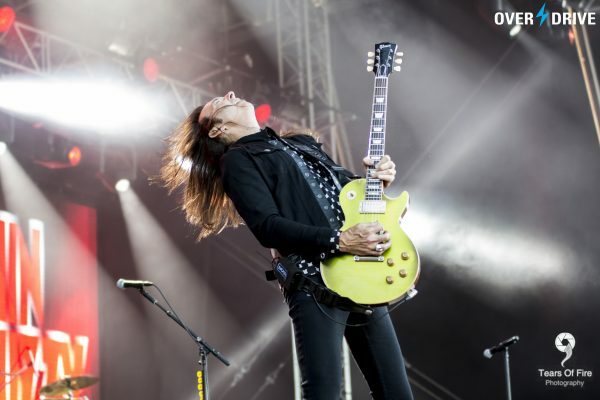 Throw in the exceptional talents of Damon Johnson and you have one magical chemistry that drifts from the stage to every nook and cranny of the Ramblin’ Man area. Just when you thought the special guest appearances were done Ricky announces another to help out with “Cowboy Song” and “The Boys Are Back In Town”, none other than Midge Ure (Ultravox) who had been a member of Thin Lizzy back in 1979/80, after Gary Moore had left the band mid tour in the US. 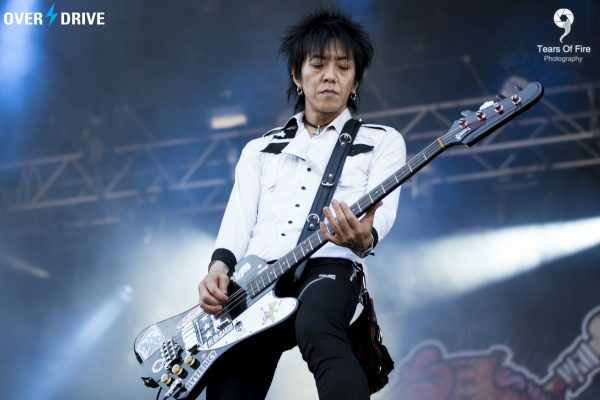 It was great to see him playing with the guys again. By the end of their set there’s a wave of emotions, the overriding one being that it’s brilliant to still hear the songs being played live by people that played them in that infamous band. Yes, we get it!! Ricky is not Phil, but nobody is or ever will be Phil, it doesn’t mean we shouldn’t have the pleasure of hearing the songs every now and then, totally entertaining. 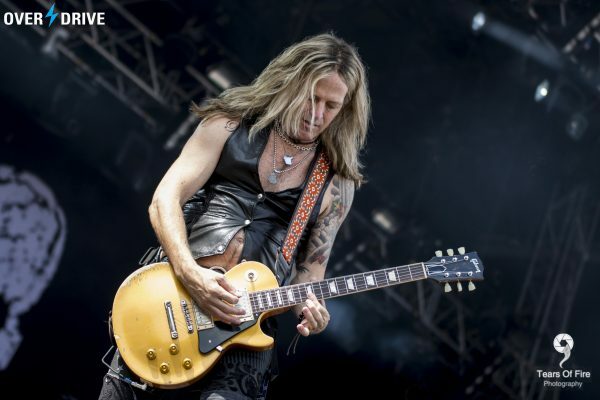 Whitesnake (3.5/5) have been regular visitors to the UK in the last 10 years, playing arena tours and festivals alike and they are always a great band to watch, David Coverdale only brings highly talented musicians into the band to work with him, the latest being former Night Ranger axe-man Joel Hoekstra, who slots into the band effortlessly, not only can he kill it on guitar, but he can sing too. 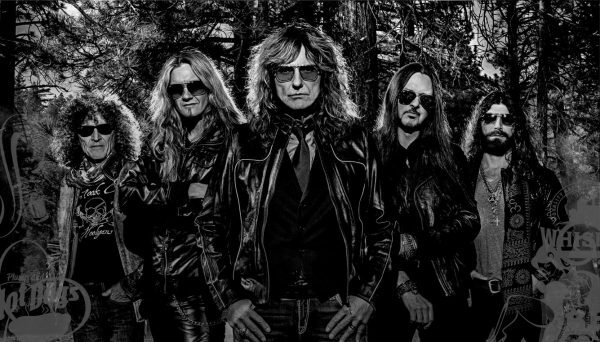 This is important in modern day Whitesnake as the other guys in the band take some of the pressure of Mr. Coverdale by taking on additional vocal duties, in the choruses especially. Releasing some of the workload has allowed him to ease back a little and not push so hard, which is better for the show and his own voice. For me there are still one too many solos on show in every set they do, but if that’s the way it has to be I’d take it over not having the band continue to play, because the songs are just so good live. Again, as with the Thin Lizzy set Whitesnake are giving the fans what they want, a greatest hits bonanza, kicking things off hard with “Bad Boys” and rolling through the hits with ease, “Love Ain’t No Stranger”, “Fool For Your Loving”, “Crying In The Rain”, “Is This Love” etc, they are all there. Whitesnake are everything you’d expect but between the hits there are breaks for solo spots, guitar, bass and drum solos, as I’ve already said, to me it’s too much and causes a stutter to the flow, but if it’s what’s needed to continue to hear these great songs live for a continued period, then it’s a small price to pay. The very long day, travelling and heat all combined has forced me to make a sensible decision to head for the exits a little early and make sure I’m on a train back to London before the madness. 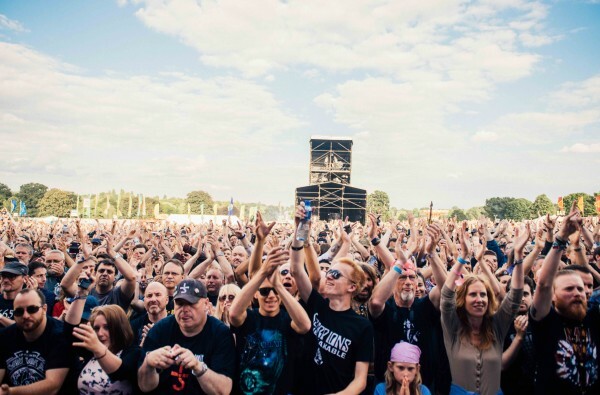 It’s been an awesome first day of the Ramblin’ Man Fair and I managed to catch a broad selection of bands from different genres, old and new, some for the first time, which is exactly what festivals should give you. Throw in the wonderful weather and there’s nothing better you could do on a Saturday in July, roll on day two and a very different selection of bands to entertain us. The crowd has been big on day one, I’m sure the weather helped, the queuing for wristbands aside everything seems to have run very smoothly at Ramblin’ Man Fair, it’s so hard to cater for everyone and keep everybody happy, but a good job has certainly been done here, which bodes well for the future.